John is the Founder of the Good Governance Institute. He has published and lectured widely and internationally on health governance, quality, best value and benchmarking. He now chairs our advisory group whose role is to provide the Good Governance Institute with support on the development of strategy including the identification of future priorities and opportunities on how GGI can work at policy and political level. In the first instance during 2019, the group will support GGI to develop a policy paper, which examines governance in the Public Sector to 2030.
fellow at the Open University Business School and a member of the Royal College of Physicians of Edinburgh (RCPE) faculty delivering the Quality Governance Fellows programme. 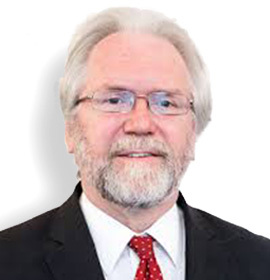 He was a member of the Health Minister’s National Advisory Board in Wales, President of the quality network of the Royal Society of Medicine, a peer reviewer for Healthcare Inspectorate Wales, board secretary to the all industry Benchmarking Institute and an advisor to a number of business and professional organisations. John is the director of Governance Benchmarking and lives in South Wales.